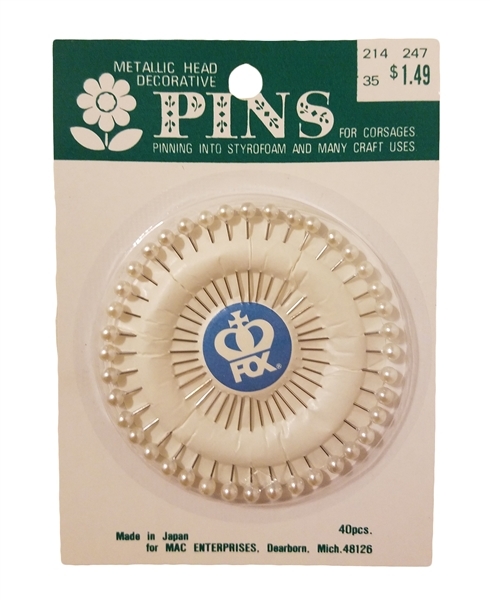 White Pearl Metallic Head Decorative Pins. For floral, corsages, bridal, sewing, and other craft uses. 1 inch length. 40 pieces per package.